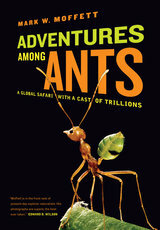 Dr. Mark Moffett, a Research Associate at the Smithsonian Institute and author of UC Press’s bestselling book Adventures among Ants, recently appeared at the Boston Book Festival to talk about the incredible and utterly rational behavior of ants. In a session called “Bugs in the System,” Moffett discusses the bugs underneath our feet, while Dan Ariely, author of Predictably Irrational, addresses some of the bugs in our moral code. Moffett says that ants are more like people than we expect. Both modern human societies and large ant colonies have to deal with market economies, traffic rules, highways, infrastructure, and warfare. Watch the video to learn the surprising parallels between these two seemingly disparate species. The End of Long-term Peacebuilding by the EU?